We recommend Tattoo cover for these occasions. It lasts about 3 days under normal conditions. If you have any questions about tattoo cover, please contact us. *Please shave around the tattoo area or we have waxing services available for best results. Waxing and tattoo cover services are not available the same day. 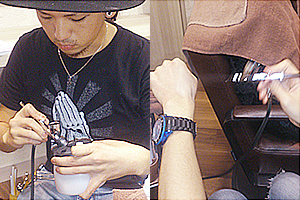 Consultation & Tattoo check with our staff at the appointment. * If you have any allergies, please tell us before we start. 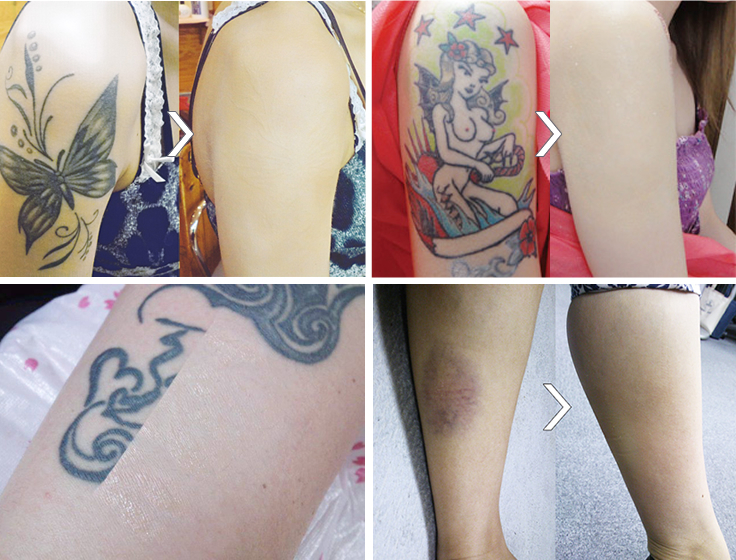 Our specialists conceal your tattoos, Birthmarks etc… with an airbrush. 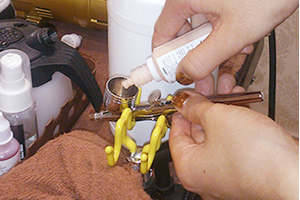 Insert base color in the airbrush. 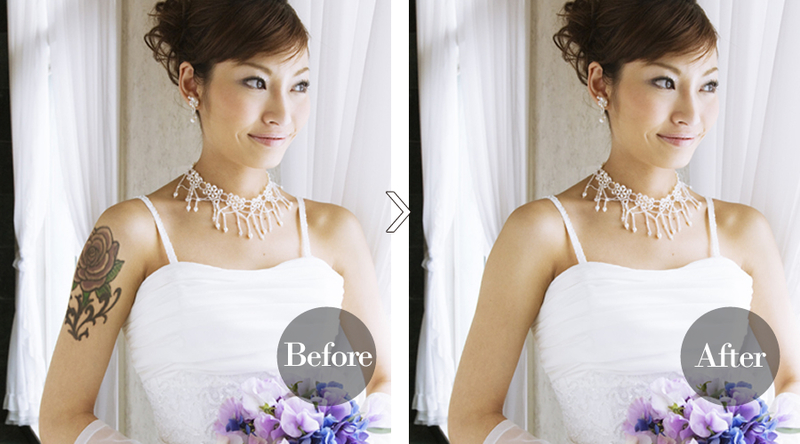 We prepare the 2nd color the same color as your skin tone. Spray on the base color to hide your tattoo perfectly. 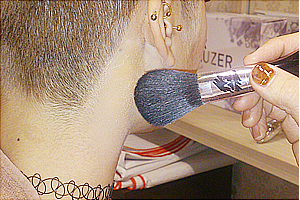 Apply finishing powder on the tattoo. This method makes your tattoo cover last longer. Your tattoo is completely covered. * Please make an appointment. * If you have any allergies, please tell us. * Tattoo cover is Water resistant but we recommend that you shower just before you come to the salon to have the tattoo cover done. 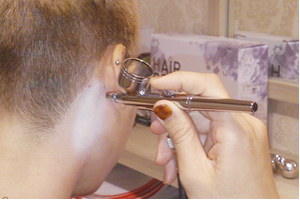 * Please shave the hair off around the tattoo to get a good concealer result. * It lasts about 3 days under normal conditions. * We cannot conceal extremely rough or pitted skin or very dark tattoos. 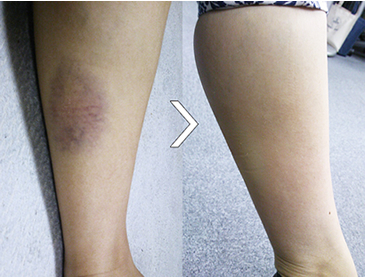 * If your tattoo is too big or in bad condition, we sometimes cannot conceal your tattoo. * If you have any allergies, please tell us before we start. * This service is not available for the face. We have waxing services available for best results. *As you need to have 2 days space between waxing and tattoo covering. * The price and time required will depend on the tattoo size, color and condition. 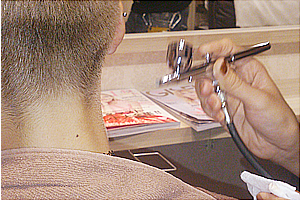 * As you need to have 2 days space between waxing and tattoo covering..
※ The beauty salon There are women of staff. Please be nominated. Midosuji Line・Nagahori Tsurumi-Ryokuchi Line, Exit 7 Shinsaibashi Station.